Earn up to 76 Points Points. Prickly Pear Seed Oil 100% Pure: Unrefined Pharmaceutical Grade A product is Unrefined, which means it is in the purest form that it can possibly be in. Prickly Pear Seed Oil 100% Pure: Unrefined Pharmaceutical Grade A is one of the most effective skin nourishing oils. Packed with Vitamin E and essential fatty acids, Prickly Pear oil is a potent antioxidant. 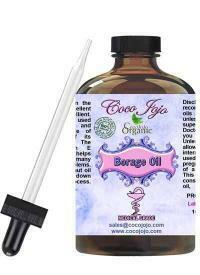 It has the highest Vitamin E content of all carrier oils including three times that of Argan Oil. Vitamin E, or tocopherols, is a potent antioxidant found in vegetable oils. Vitamin E helps skin. Vegetable oils are also a good source of fat-soluble vitamins A, D, and K. As stated above, when tocopherols such as Vitamin E are present in a PUFA-rich vegetable oil, the oil’s lipids become more stable. Prickly Pear Seed Oil 100% Pure Unrefined Pharmaceutical Grade A is the highest quality Prickly Pear Seed oils. The concentration of their Element is at the highest level that it can be. With the Pharmaceutical Grade Products you are getting the best. The Element of each product will be at its strongest potency making it much more beneficial and making its uses much more effective. All of our Pharmaceutical Grade Pure Oils have met Pharmacopeia standards. U.S. Pharmacopeia Reference Standards are highly-characterized physical specimens used in testing by pharmaceutical and related industries to help ensure the identity, strength, quality, and purity of medicines (drugs, biologics, and excipients), dietary supplements, and food ingredients.